Here's a rust-free AZ builder just brought back from dry Southwest. Supposedly, is a running 2-bbl 350...but, currently missing the distributor. Bench seat car (not sure if the front seat made the trip and is stashed somewhere). Misc. moldings are inside the car. 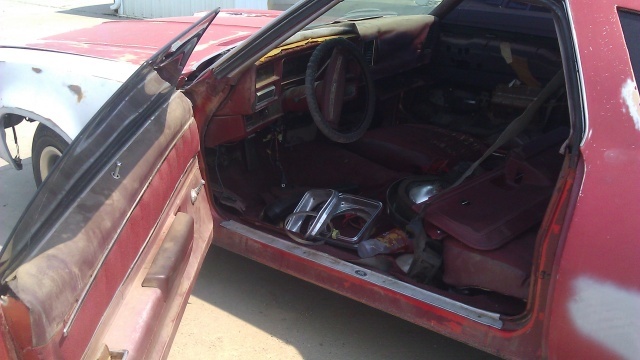 Car was purchased from the owner of a body shop in AZ and they couldn't find the front grill & bumper. Top of dash is toast (typical of AZ cars). Std instrument cluster. Believe the guy said he needed $1500 for it. If interested, I'll get you in touch with the owner. You might be in luck, Limey. He prefers to not sell it to a Demo Derby guy...but, if that's the only interest he gets, he'll do it. Should that happen, he said he'd give me the chance to pick what ever trim pcs I need as those guys strip the car, anyway. I know the plastic sail panels looked to be in useable condition. BTW, this is the same guy who I bought my Laguna from. Same story...he brought it up from AZ and it sat all winter with no buyer. 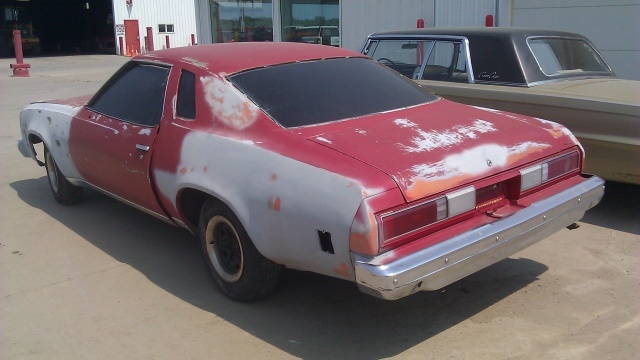 He knew I had an interest in it, but I still had the '76 Laguna project that I was trying to figure out was worth saving. Finally, that next Spring he called me and said he was reluctantly about to sell it to a Derby guy if I didn't buy it that day. 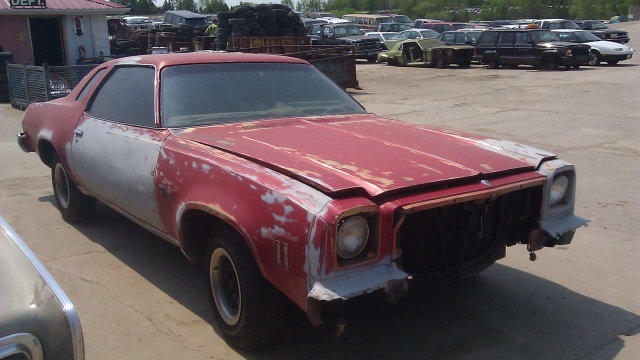 Bye, bye '76 Laguna...lol! Do you need the glove box lid...or, just an unbroken hinge for it? I've got a couple spares if that's all you need. Got a couple glove box lids, too...one Saddle colored and one Maroon.